With our new CLASSIC Compact 2 we have employed the principle of ‘Downsizing’ in in its purest form. 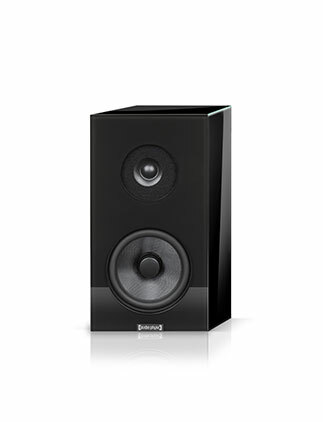 Although the speaker is very small indeed, it boasts the same host of technical subtleties as the larger CLASSIC models. And, like them, it is born out of more than 30 years’ experience in building great loudspeakers here at AUDIO PHYSIC. 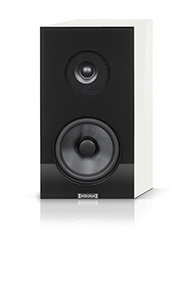 For the second generation CLASSIC Compact 2 we use the same sandwich construction as with all speakers of the CLASSIC range to create an exceptionally strong cabinet that is virtually immune against internal resonances, thus avoiding unwanted colouration of sound. This construction also makes it possible to use glass as an outer material to create an elegantly glossy finish to go well with any kind of interior. 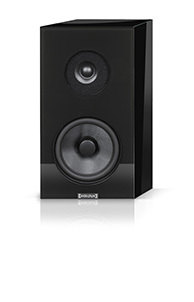 As a fully matured AUDIO PHYSIC speaker, despite its modest size, the CLASSIC Compact 2 now also features our unique Dual Basket Chassis Design, a pioneering technology that drastically reduces the transfer of micro-vibrations from the driver to the cabinet and greatly improves sound quality. We have designed the CLASSIC Compact 2 to deliver a pure and natural sound quality that has previously not been available in this class of speaker and in this price range. Its powerful midwoofer has a cone made from woven glass fibre, combining low weight with high internal damping. Sound-disrupting partial oscillations of the cone are thereby effectively prevented. The fixed phase plug of the midwoofer plays an important part in cooling the substantial magnetic motor during operation and reduces compression effects. 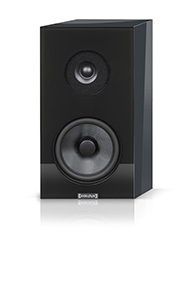 The silk dome tweeter in the CLASSIC Compact 2 is also a marvel of German engineering. Driven by a strong and well ventilated magnet motor, it is capable of recreating high frequencies up to well above the audible band with astonishing fidelity. The tweeter resides in a small horn-shaped indentation to subtly adjust the sound radiation behaviour around the crossover frequency between mid and high frequencies. This way, the spatial image remains wide, balanced and precise, even if the listener is seated somewhat outside the so-called sweet spot. For an ample bass performance, the CLASSIC Compact 2 has been designed as a bass reflex system, using AUDIO PHYSIC’s unique technology of passing the sound waves through the cabinet’s sandwich layers rather than through a conventional bass reflex port. This avoids the problems commonly found with ported designs, eliminating port chuffing and reducing other unwanted noise to next to nothing. As we as AUDIO PHYSIC never compromise when it comes to the quality of our speakers, even the small CLASSIC Compact 2 has been fitted with high-end speaker terminals from WBT’s nextgen®range. These have proven to be impervious to eddy currents and have a clever torque indicator to ensure the ideal tightening force when used with spade connectors. Our CLASSIC Compact 2 is certainly small enough to fit in a bookshelf or to be simply placed on a sideboard. But to experience its full potential in terms of sound quality, we recommend placing it on our very solid speaker stand AUDIO PHYSIC SHERPA II. Another very advisable – and often rather surprising – upgrade is to use the optional Vibration Control Feet AUDIO PHYSIC VCF II COMPONENT or VCF II MAGNETIC COMPONENT. These feet protect delicate surfaces and decouple the speaker from the floor or furniture, lifting sound performance to entirely new levels. 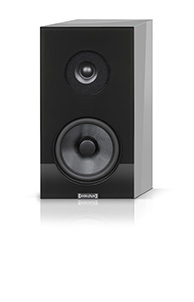 In many smaller stereo systems, a pair of CLASSIC Compact 2 will work well on its own. In larger rooms, this can be complemented by our subwoofer LUNA, which also will come in handy if you intend to build a multichannel surround systems with any number of CLASSIC Compacts, the dedicated center speaker CLASSIC Center 2 or any other speakers of our CLASSIC range. Whichever combination you might chose, you will always end up with a system that’s as well matched in sound quality as it is in design. Ask a specialist AUDIO PHYSIC retailer near you for a demonstration and listen for yourself! Height 315 mm / 12.4"
Required Space Width x Depth 170x240 mm / 6.7x9.5"
Our unique Sandwich Cabinets are an innovative way to stop the speaker cabinet from developing an acoustical life of its own. It is especially effective with our stylish glass-finished speakers as the relatively high weight of the glass panels helps dampening the cabinet even better. AUDIO PHYSIC’S unique DUAL BASKET DESIGN is a true break-through innovation and the most important part of the HHCM-III technology. Instead of the tradition single basket, our HHCM-III features two separate baskets to prevent and subdue unwanted vibrations already at the source.